Compliance with the Affordable Care Act ("ACA") has resulted in significantly increased health benefit costs for many employers. The employer shared responsibility requirements under the ACA (commonly referred to as the "pay-or-play" rules) provide that a large employer must offer qualifying health coverage to substantially all of its full-time employees. The ACA defines a full-time employee as one who works at least 30 hours per week on average. According to the ACA, if a large employer does not offer qualifying health coverage to substantially all of its full-time employees, the employer will be subject to significant excise tax penalties. Consequently, many employers have begun managing their employees’ hours by moving full-time employees to part-time status and putting procedures in place to ensure that such employees do not work over 30 hours per week on average. We caution, however, that an employer who actively manages its workforce to avoid offering group health plan coverage may trigger a potential ERISA claim. A recent federal case in the Southern District of New York involving the Dave & Buster’s restaurant chain demonstrates that reducing the number of full-time employees may indeed lower health care plan costs, but also may result in expense ERISA litigation. As background to the Dave & Buster’s case, Section 510 of ERISA ("Section 510") prohibits an employer from retaliating or otherwise discriminating against plan participants and beneficiaries for exercising any rights to which they are or may become entitled to under an ERISA plan. The remedy under ERISA for a violation of Section 510 is "appropriate equitable relief," which may include reinstatement or back pay. The Dave & Buster’s case is based on the novel theory that the employer’s actions in "right sizing" its workforce by reducing the hours of former full-time employees hours below 30 hours per week, thereby eliminating their eligibility for coverage under the employer’s group health plan, constitutes a violation of Section 510. The federal district judge in this case recently denied a motion by Dave & Buster’s to dismiss the plaintiffs’ class action complaint. As a result, the plaintiffs will now be able to engage in further case discovery in an effort to prove that Dave & Buster’s engaged in its workforce "right sizing" program with the "specific intent" to interfere with the attainment of health plan benefits by employees. Two key facts alleged in the complaint are noteworthy. First, when the right-sizing program was communicated to employees by management, the employees were pointedly told that the purpose of reducing employee hours was to avoid the costs of compliance with the ACA. The second key fact alleged in the complaint is the fact that Dave & Buster’s expressly disclosed in a management discussion in its SEC filings that adjustments to the full-time workforce were addressed to avoid the ACA requirement of offering group health plan coverage. Admitting that the company intentionally reduced the hours of former full-time employees to below 30 hours per week to render employees ineligible for ERISA plan benefits is the type of "smoking gun" evidence that can form the basis for a viable ERISA claim under Section 510’s specific intent standard. The take away from the Dave & Buster’s case is that employers contemplating staffing or workforce realignment changes as a means of managing overall costs must be highly sensitive to the reasoning described in communications (both internal and external) regarding the proposed changes. If staffing adjustments are necessary, legitimate, non-discriminating reasons should provide the basis for such adjustments. 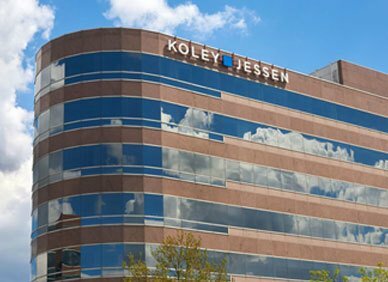 If you have any questions relating to the ACA, the pay-or-play rules, Section 510, or managing your workforce, please contact a member of Koley Jessen’s Employment, Labor and Benefits Practice Group.